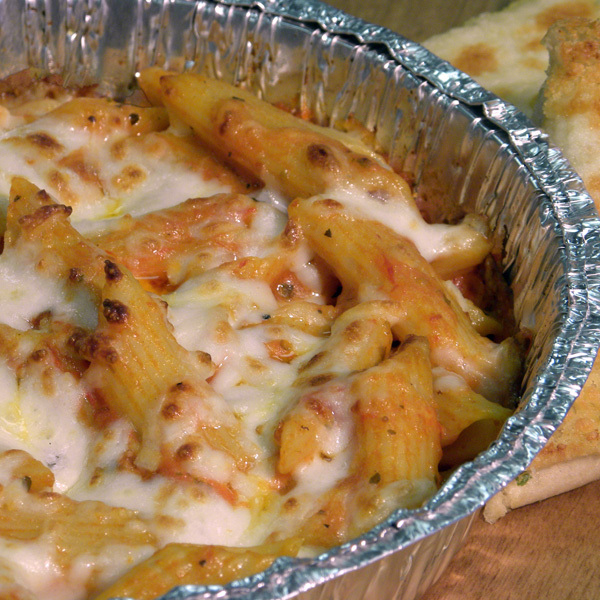 Mostaccioli, Linguini or Whole Wheat Penne noodles with your choice of homemade sauce and topped with mozzerella or cheddar cheese. 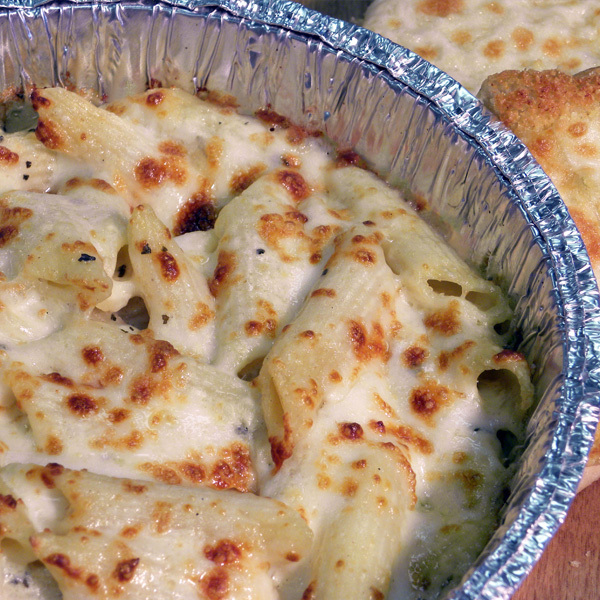 Individual served with two piece white or wheat garlic cheese roll. 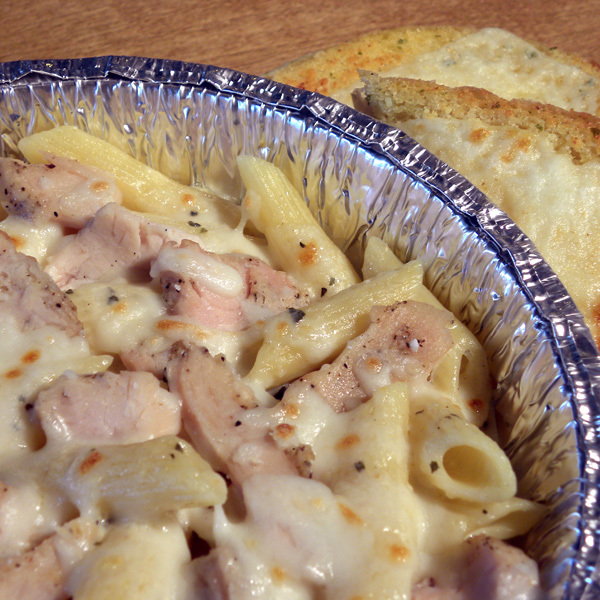 A cheesy white cream sauce with grilled chicken. 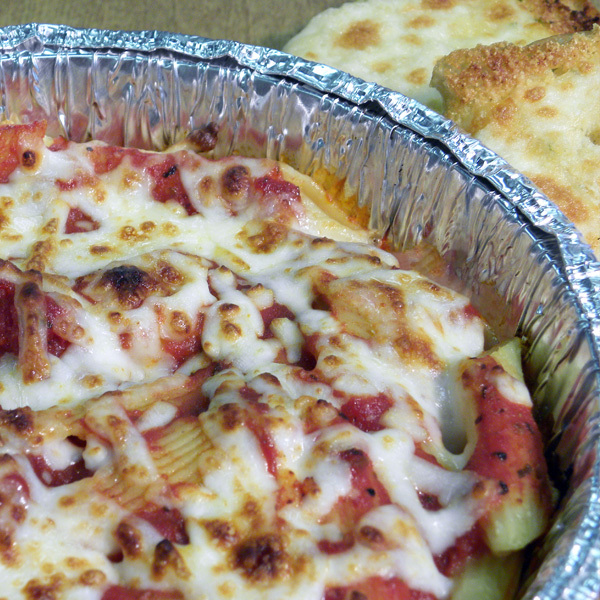 A delicious combination of alfredo and marinara sauce. 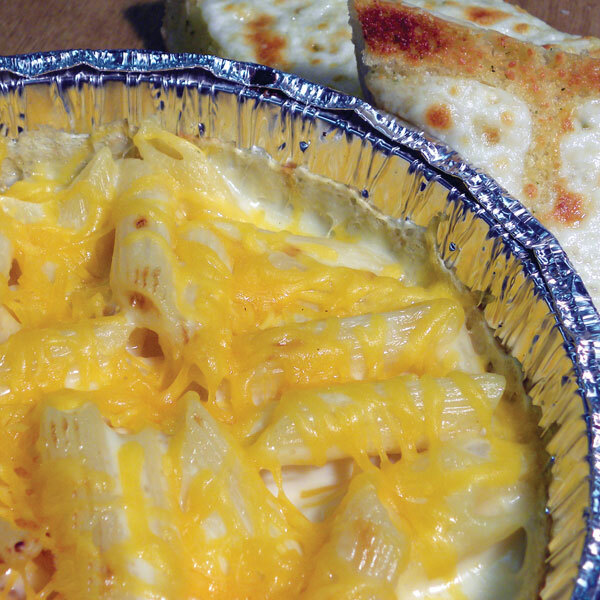 Gourmet cheese sauce topped with cheddar cheese. 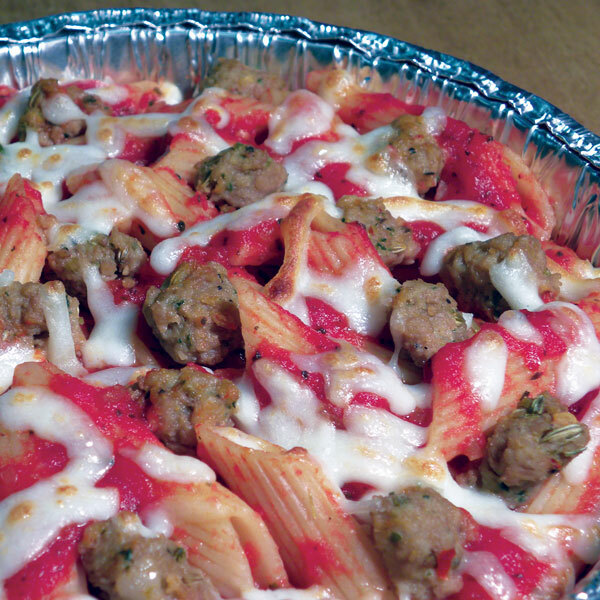 A hearty red sauce with your choice of Hamburger, Pepperoni, Italian Sausage, Bacon, Canadian Bacon, Chicken or Meatballs. 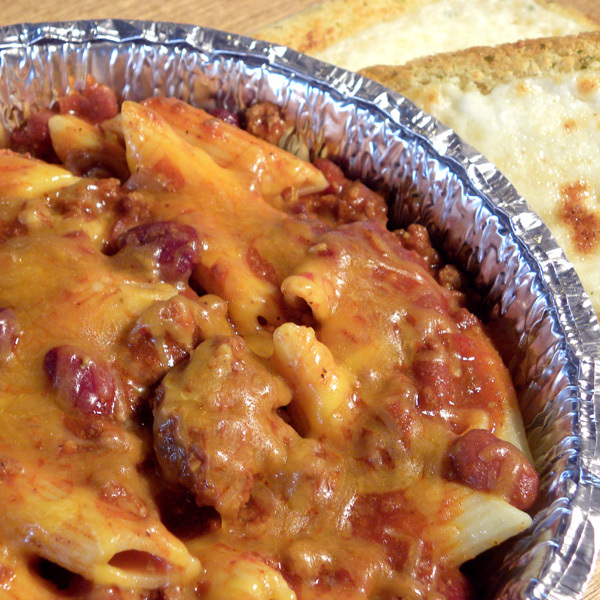 Chili served over noodles & topped with cheddar cheese. Available September through April.